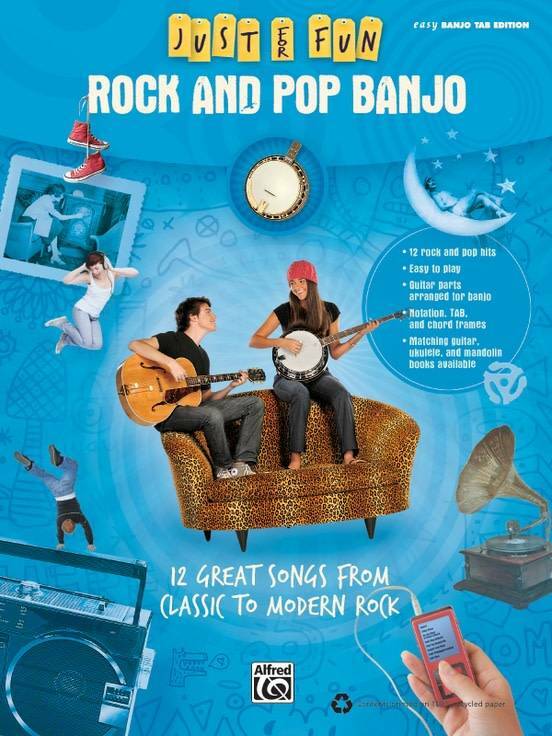 Rock and Pop Banjo is designed for your total enjoyment. Rock and Pop Banjo is designed for your total enjoyment. Each song uses the original guitar parts arranged for the banjo. Also, we've added some suggested roll and picking patterns to add to the fun. Titles: Beat It (Michael Jackson) * China Grove (The Doobie Brothers) * Do You Want to Know a Secret (The Beatles) * Don't Stop Believin' (Journey) * How You Remind Me (Nickelback) * Jumpin' Jack Flash (The Rolling Stones) * Layla (Unplugged version) (Eric Clapton) * Lyin' Eyes (Eagles) * Panama (Van Halen) * Running on Empty (Jackson Browne) * Stayin' Alive (Bee Gees) * Wild Night (Van Morrison).